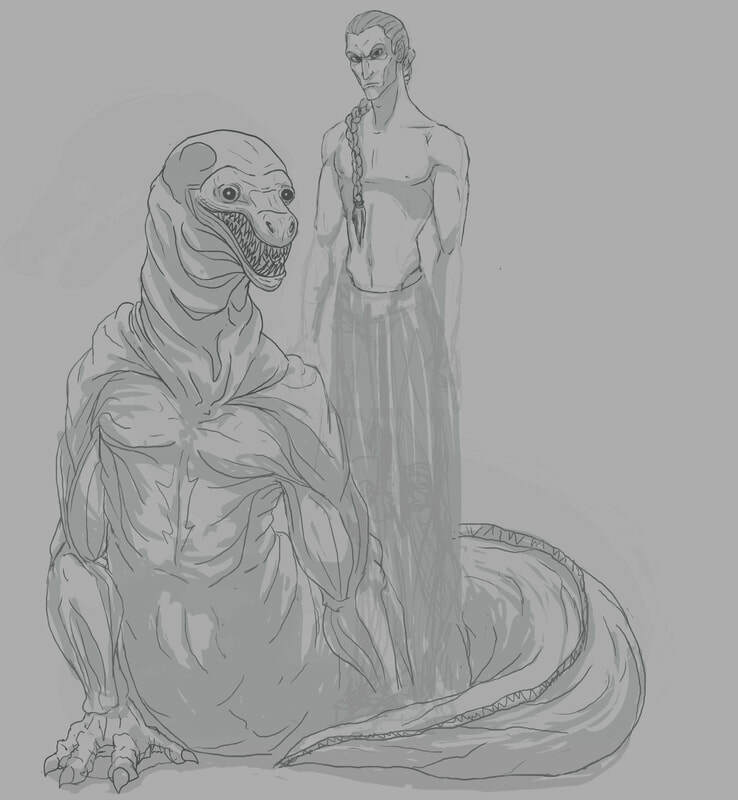 RAR eel guy and friend. There's gonna be a lady in there too. 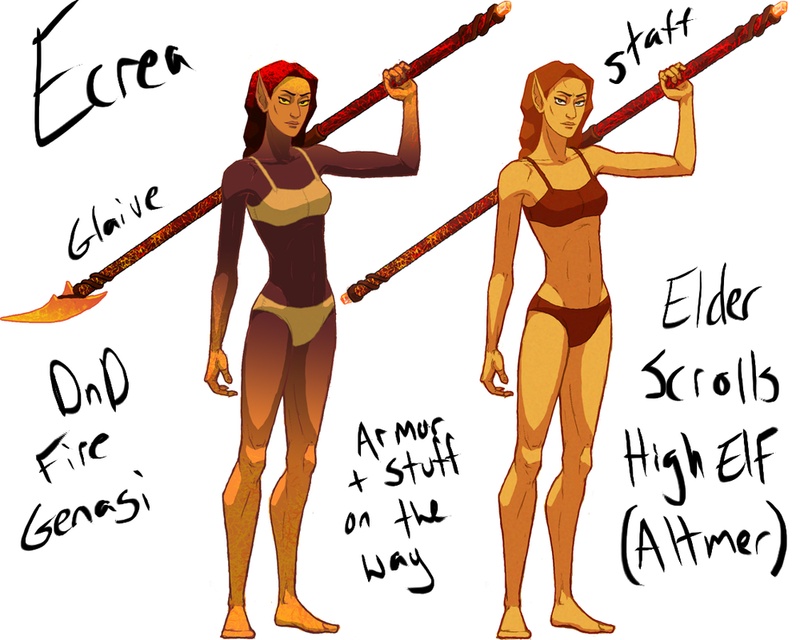 This is a design sheet for my aquatic fictional race, the Thalassans. I give my figures 8-heads ideal proportions, but it always turns out looking way super long. I've got Loomis's proportion guide on my wall here. Following it is not helping. I think I draw my figures too narrow, and that's why they look overly long at 8 heads? Ecrea is meant to be lanky, mind you. But yeah... I don't know. This keeps happening. Doing a character sheet for my OC, Ecrea. This will serve as a base for different outfits, hairstyles, and AUs. She is supposed to be lanky, lithe, smug, and holding what will be an enchanted quarter staff. Does anything need fixing, or should I move onto the designs now? I can be a neurotic perfectionist with my art, to the point that I will fixate on nonexistent or totally permissible flaws, then ruin my art trying to improve it. I need help convincing myself that my art is done and presentable. Care to lend me a hand? Comment here or on twitter.